I'm throwing caution to the wind, breaking my routine, and doing away with my weekly menu plan post (for this week) because THIS post is SPECIAL! 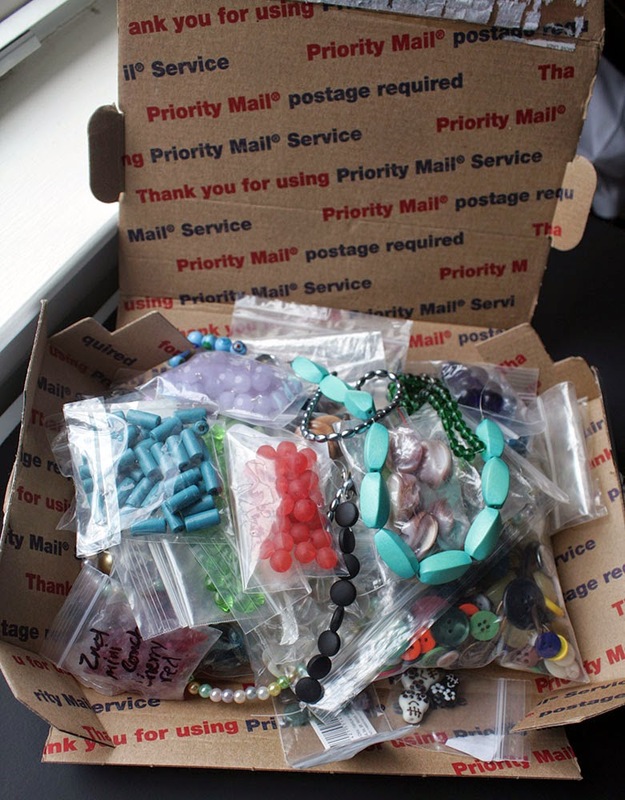 It's my ONE THOUSANDTH Crafty Hope blog post!! Seriously y'all, how crazy is that? In honor of this momentous occasion, I'm having a GIVEAWAY! 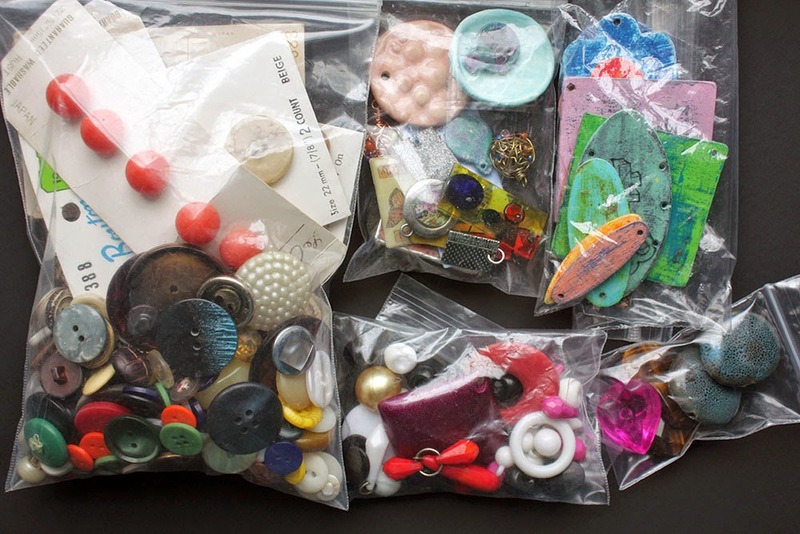 There's a baggie of a bunch of buttons and button cards, one with some miscellaneous charms and pendants (a few artisan made), one that has shabby tags that I made, one of some deconstructed jewelry from the thrift store, and one of some large beads. I pulled one or more bead type from each of the color-sorted drawers in my bead cabinet so there's a full spectrum of beads. These are mostly the more neutral ones. 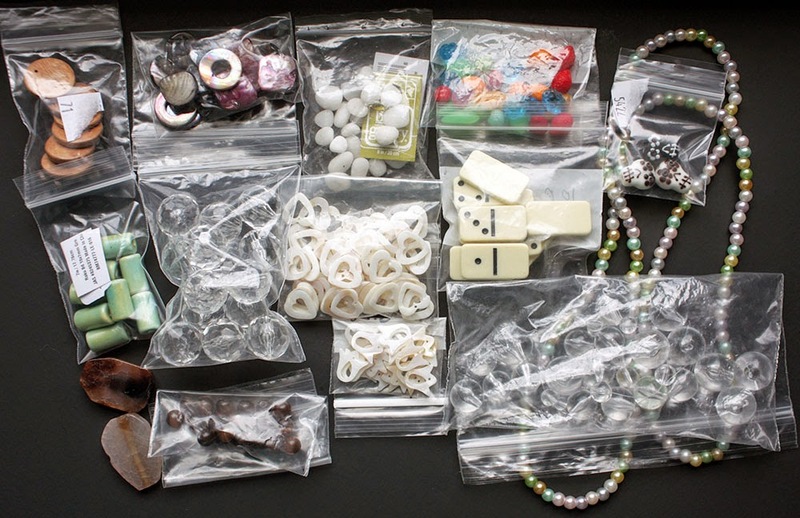 I can't even begin to say what all in in the one above but let me try: a couple bags of clear acrylic beads, some mother of pearl charms/beads, glass beads, wood beads, ceramic beads, stone beads, double hole dominoes, and pastel glass pearls. This set is a bit brighter with some glass beads, stone beads, cultured sea glass, glass pearls, chandelier crystals, wood beads, a couple pendants I made, and a few Industrial Chic pieces. That's all I've gathered for the giveaway for now, but there is a good chance I'll continue to add to it. I'll admit that it's not all super-quality stuff, but it's not just a bunch of junk either - there are some treasures in there. Mostly, it's stuff I've had for a while and just don't know to do with it. I'm trying to fit in all into one of those small flat-rate boxes, but I'm not sure it's going to work. So, I'll just see how big it gets by the time the giveaway period has ended. I'm guessing you want the deets. Here goes: simply leave a comment on this post by the end of June 1st and I'll pick a winner (randomly) from the comments on Monday, June 2nd. Please make sure your e-mail is included in your comment. Of course, I'd LOVE IT if you'd make sure you're a fan of my Facebook page and/or following me on Twitter, Instagram, Pinterest, Tumblr, etc. (links are all on the right sidebar.) But, that won't get you any more chances. I'm trying to keep it quick and easy! Not that I need anything else, but I can't resist a give away. Did you participate in BSBP. Did not see your link on Lori's website, although you managed to comment on mine. So thanks. Wow, 1,000 posts. Congratulations! That is something. I guess I'll catch up to you in about 9 years. :) Thanks for the giveaway. Fun! Ann, Thanks! I'm not positive it's something to celebrate, but it's reason enough for a giveaway. That's always fun. Thanks for swinging by! Congratulations on your milestone! "stone" . . . get it? I don't know what to do with all those pretty things, other than spread them out and say, "OOOOoo - AAAaaahhhh!" I'd probably just send them back to you and say, "can you please make me something fabulous?" But I wanted to say how proud I am of you anyway! Is this open to any follower, Hope? As in, outside the U.S.? Sorry if the answer is in your post, I read it twice but didn't see it :( If so, of COURSE I want in *TeeHee* Email in my profile. 1,000!!! Congratulations! I always enjy reading your blog! Thank you for your comment on my Bead Soup reveal....I really appreciate it!...and thanks as well for the new recipe for hand pies! ;-) Can't wait to try them! Such a huge amount of goodies. That's very generous of you! Congratulations on your subscriber-ship, that's huge! I think I have Two. Hope I win! Congrats again. What a great way to celebrate this milestone and also a generous one. 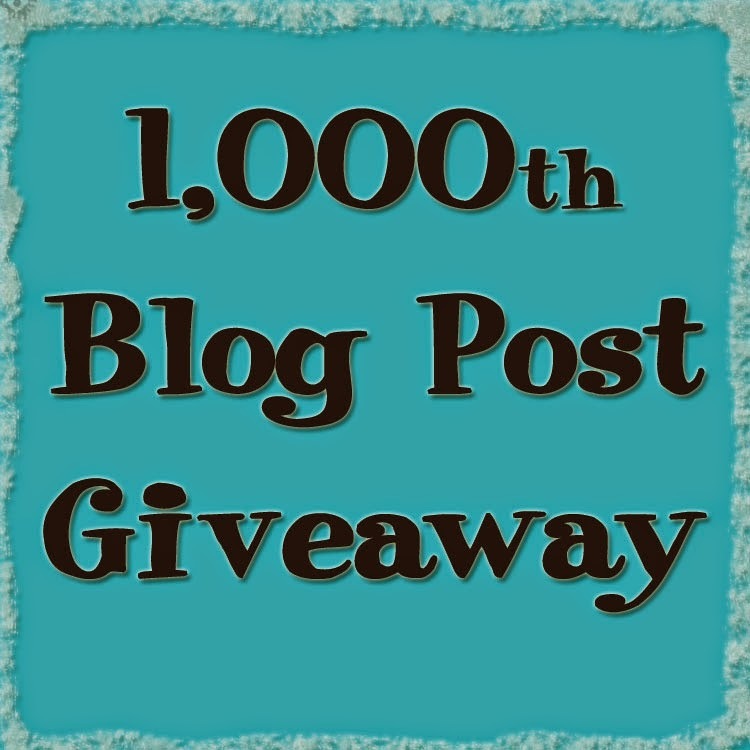 1000th blog post! That's absolutely incredible. How long have you been at this anyway? Kudos! 1000th post - woot woot! Great job, Hope! Wow! A 1000 posts! That's awesome!!!!! I can't wait to see what you do with the Znet challenge! I'd love to be entered into your drawing! First thank you for commenting on my BSBP post. It was very much appreciated. Second - congratulations on your balloting milestone! 1000 posts is an accomplishment! Third of course is thank you having this stupendous giveaway. Am not in the US but am hoping international readers are welcome :-). Would love to win all that beautiful loot. Wowser, that is quite the destash! 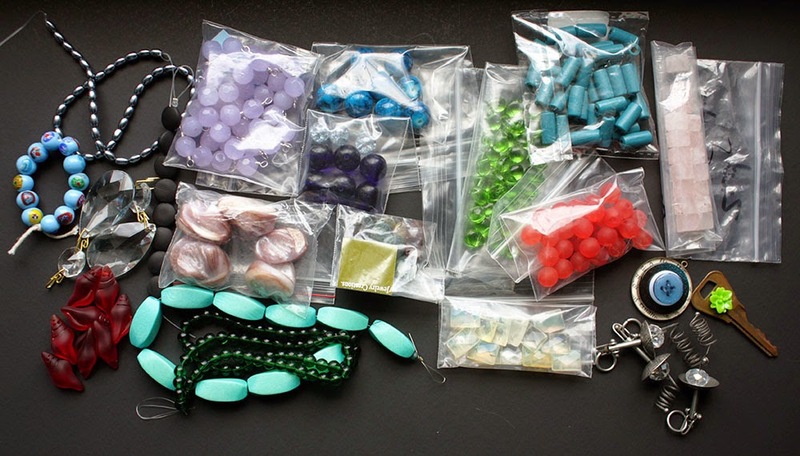 Those buttons....... All looks like quite the treasure haul, so I have fingers and toes crossed! Wow, 1000 posts. Awesome. Such a generous giveaway! Thanks for the chance to win! Congrats on 1000 posts. Wish you many more. I have a ways to go to get there. Would love to win your goodie box. What a bunch of beady goodness!!!! Congrats on making it this far - 1,000 is a lot of posts! I was away last week and just catching up on my blog reading. When I read this post I thought "Holy crap! That' a huge giveaway. I gotta get in on it!" So thanks for the chance to win it!